Hundreds of activists are encouraged to participate with his or her individual skills helping the movement grow. As we are working globally to support local economies our approach is to follow a glocal organizational model mainly with global chat rooms and physcial local nodes. We are constantly looking for skilled people who want to help in developing this beautiful movement. Technical discussions take place in the FairCoin-developer Telegram chat group, which is mirrored to fairchat (supports reading without login and automatic translation when logged in) and to xmpp/jabber at . For general questions read the "Ask Anything"-group on fairchat or on Telegram or go to the FairCoop Forum or the FairCoop Wiki. Once a year we meet at a summercamp. Here you find a list of all chat groups of the FairCoop ecosystem as well as a map with all existing local nodes. If you cannot find a local node in your area we are happy to help and support you in setting one up. All supporters coordinate their work in chat groups and issue trackers. Sometimes we meet physically or pop up at meetups. Here is a list of upcoming and past events. We might not know all. If you want to invite a FairCoin core team member for your meet-up, for consulting or a presentation, please do not hesitate to contact us. For details and agenda see this Event Description. We will meet again at m4h 2019 and have a FairCoin workshop there. The ultimate location to network with many other sustainability initiatives. Did we miss any event taking place somewhere else? Please drop us a note. 1. & 2. April 2019 Vienna, Austria. Read or contribute to the agenda and collection of proposals. FairCoin has not its own booth or a separate talk, but you can meet FairCoop people on the 3rd floor at the Open Source Ecology booth #7 or at the fairmove.IT booth #4. Roland Alton and Thomas König will explain the mechanism of PoC, why it is safe and only takes so less energy. We also will be looking into FairChains, which allows anybody to create his/her own tokens based on a PoC blockchain. 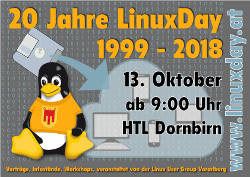 Meet the FairCoin core developer Thomas König at the Linuxday in his home town. We will be having a booth with fairkom and Thomas will be giving a workshop on Proof-of-Cooperation and FairChains at 10 a.m..
20 July - 19 August 2018 in Serbia in a mountain hut near Sremski Karlovic (organized by Novi Sad Local Node). More information on the organization pad (>> read-only link), on this >> Telegram group and our blog. How can an alternative economy be built with blockchain technologies? We will be reviewing existing and look at new concepts. Description and attendees list in German and English. We were invited to present the Proof-of-Cooperation blockchain mechanism in Moscaw on June 7th 2018 at the soviet blockchain summit. At this three-days event near Halle/Dessau in Germany we have been networking with 50+ sustainability initiatives in german speaking countries. We presented FairCoin, FairCoop, fairlogin and fairchat and workled out a common hastag: #fairmove . See details at their >>homepage and the fairkom Blog (in german). Talking about Blockchain. with Roland Alton (FairCoin) and Georg Markus Kainz (quintessenz) at q/talk . The annual open source event in the western part of Austria near the Swiss and German border offers workshops, talks and an exhibition. This year FairCoin will have its own booth and the core developer and inventor of the "Proof-of-Cooperation" consensus mechanism Thomas König will attend. 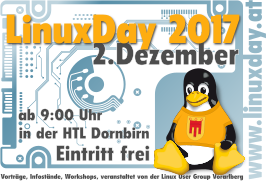 We offer to organise a hackathon to work together on open FairCoin tasks around the Linuxday. Focus is iOS wallet and integrations. Travel expenses can be covered from the FairCoin foundation fund.